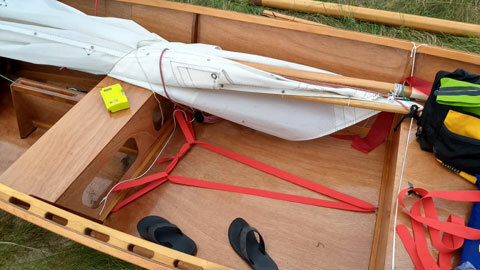 The goat island skiff is a very lively and fast sailboat, very low maintenance and fun to sail. It's one of the most versatile boats you can buy! It's a sailboat at heart, but rows well and will accept a small outboard. It's happy rowing, sailing, or motoring with 1-4 adults, or even more on occasion. This is one of the lightest boats of its size that you can find. Two strong people can carry it some distance, and I am including a beach roller which allows me to launch the boat solo! The light weight makes it very good for maneuvering on land, and more rewarding and zippy to sail. 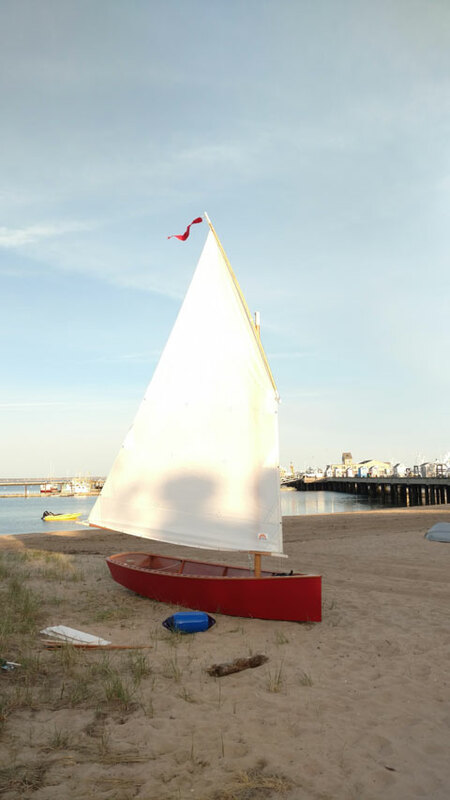 I built this boat to the plans by Michael Storer. I did everything the way it is supposed to be done; I did a good job. In some aspects of the build, I went overboard and did a much better job than the plans call for. The breasthook and stern knees are examples of that. 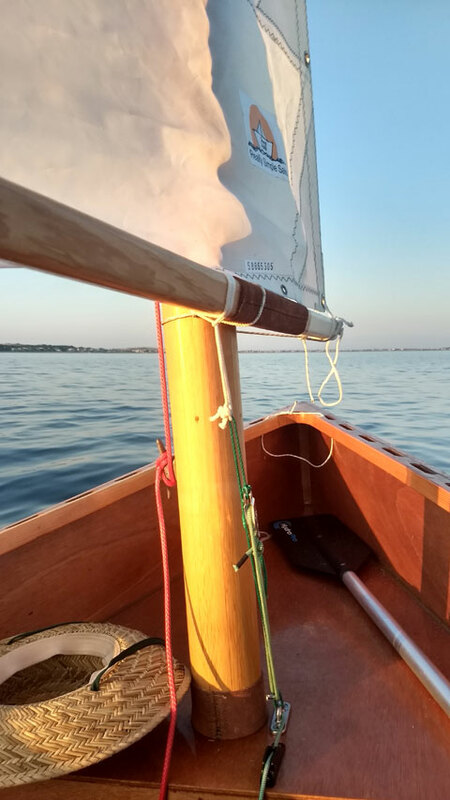 I have worked most of my life as a capenter/woodworker/boatbuilder, as my father did before me, so I did a good job on this build. The mast is a work of art. It is a hollow birdsmouth (the type of joinery) mast 16' tall and strong as can be, but it only weighs 20lbs! I have been enjoying sailing this boat very much. Unfortunately I am addicted to boat building and need funds for the next project. 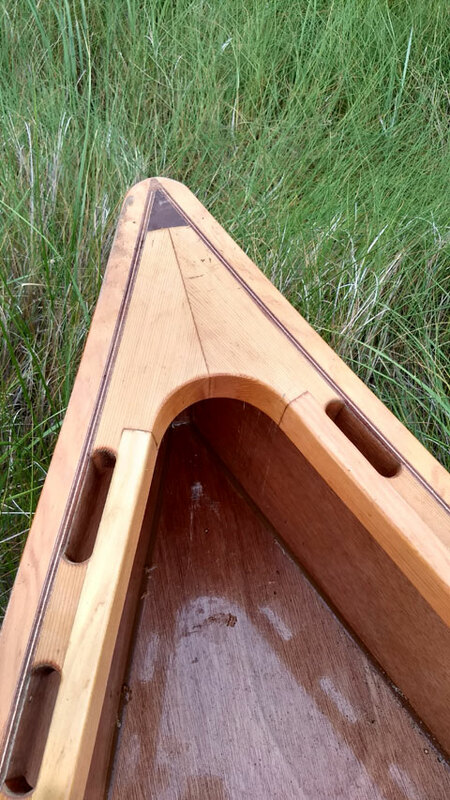 Oars are solid Ash wood. There is a trailer included, it has two brand new wheels, tires, hubs, and bearings, and the lights work. The trailer can securely hold the boat either upside down or right side up. It's an excellent way to store the boat for the winter. 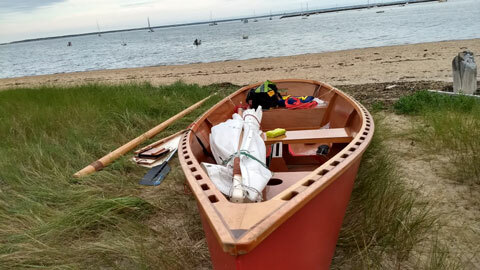 A kit to build this boat costs at least $5k, plus lots of additional materials and ~200 hours of labor. I can take the buyer out sailing to show them the ropes (har har).